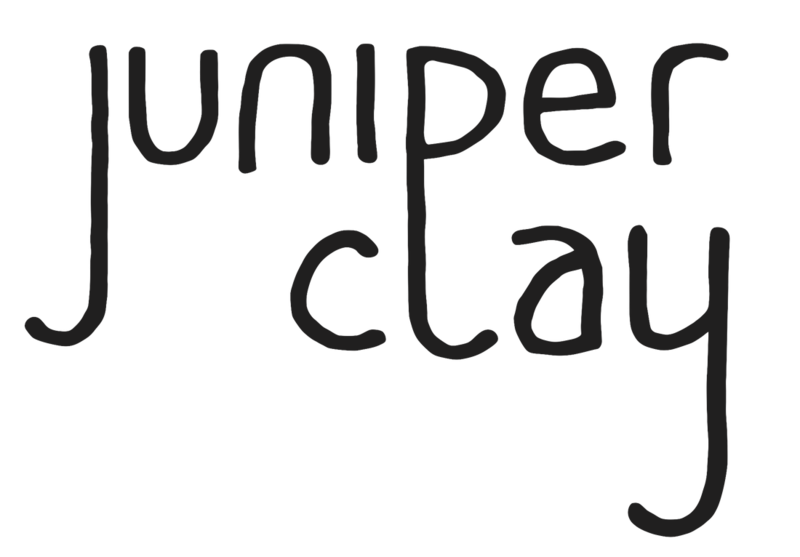 Juniper Clay is a one-woman pottery studio that produces elegant, functional pieces for everyday use. 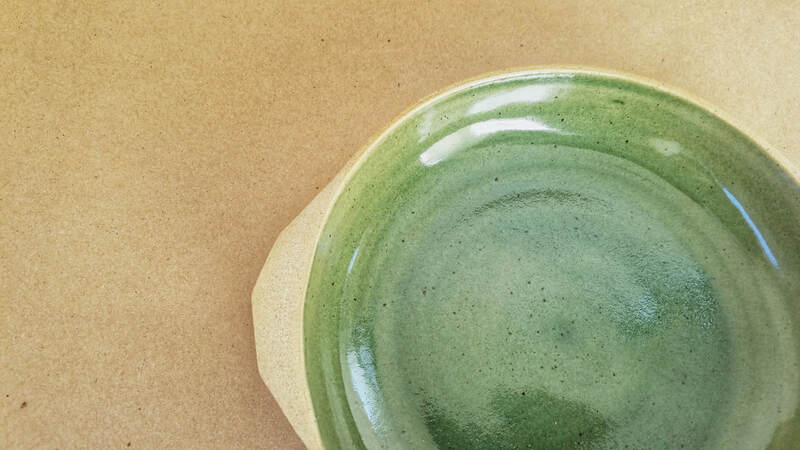 Everything is entirely handmade, from the wedging to the firing, and every piece is designed for delight. 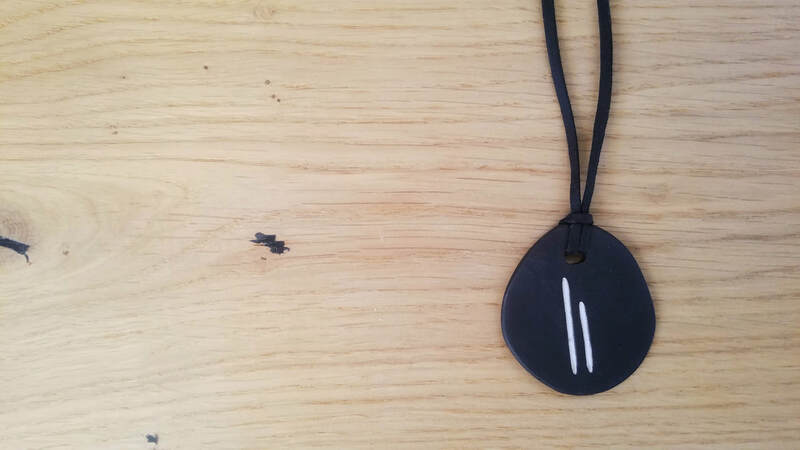 Black clay pendant with line detail, modern and minimal. Paired mugs make morning coffee a delight. 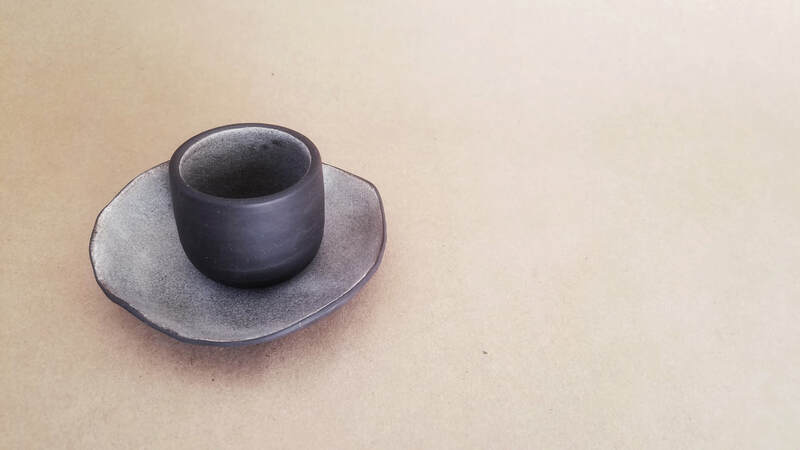 ​Espresso and saucer. Also holds m&ms. 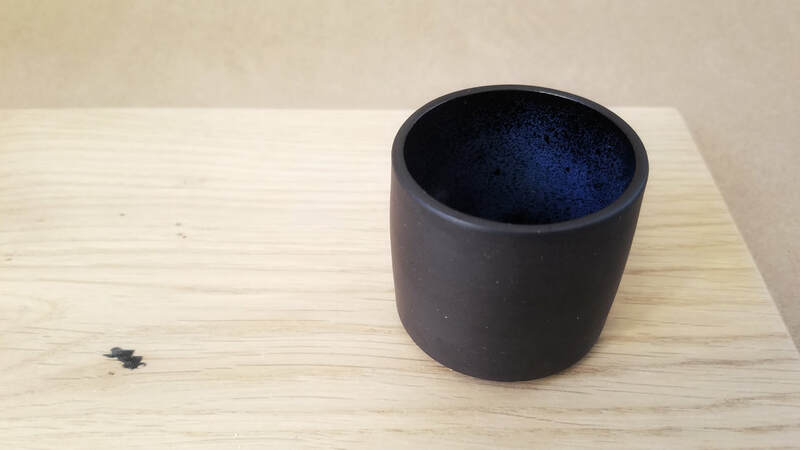 Midnight black clay with galaxy glaze - good for whiskey. Or water, if you're only a tiny bit thirsty. 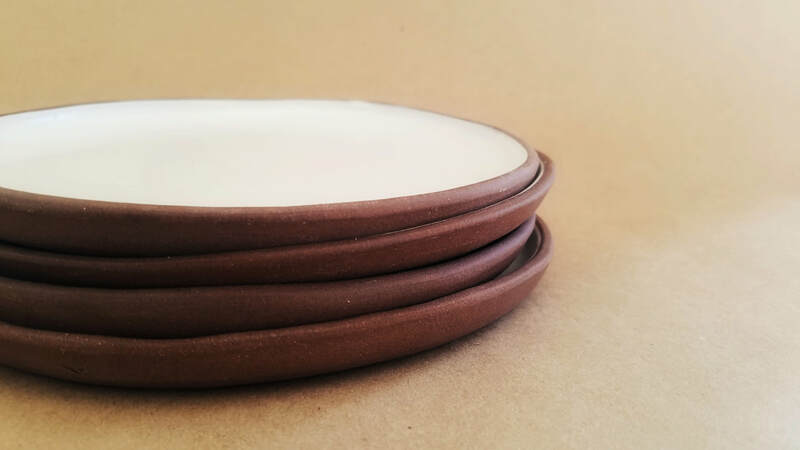 Plates: Organically shaped or round, stackable plates. 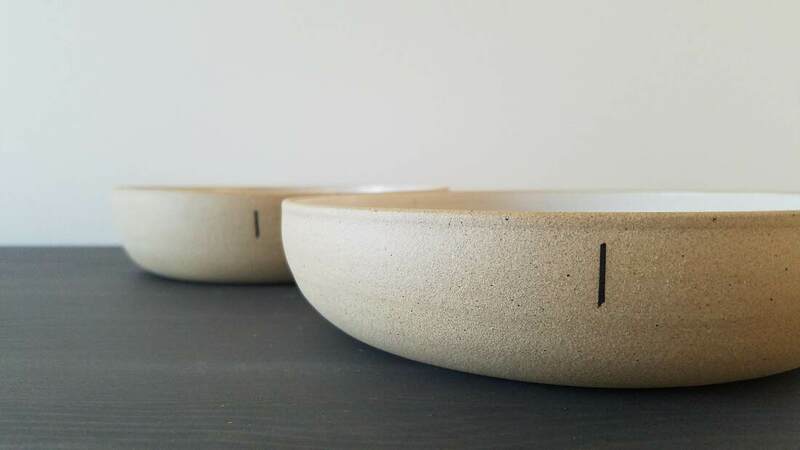 Little Dippers: organic rim scoop dishes. 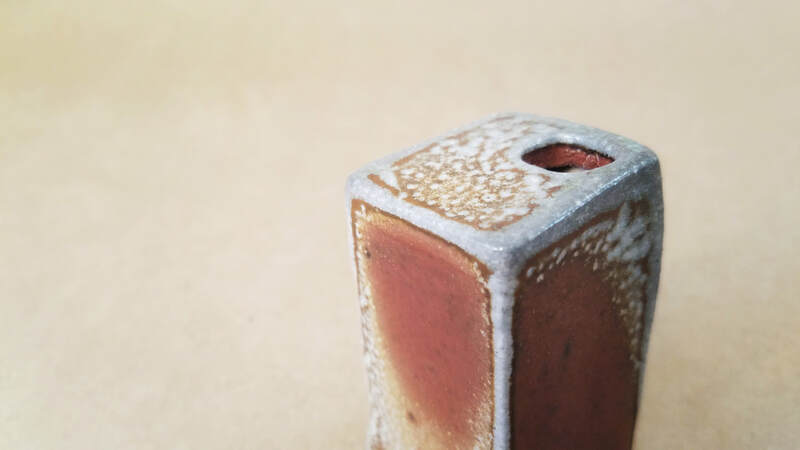 Unglazed, textured exterior porcelain with white matte interior. 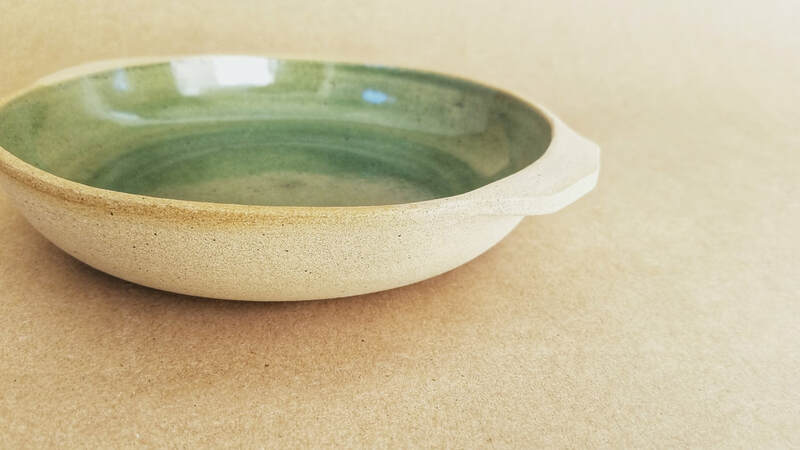 Hand formed and shaped with an undulating rim. 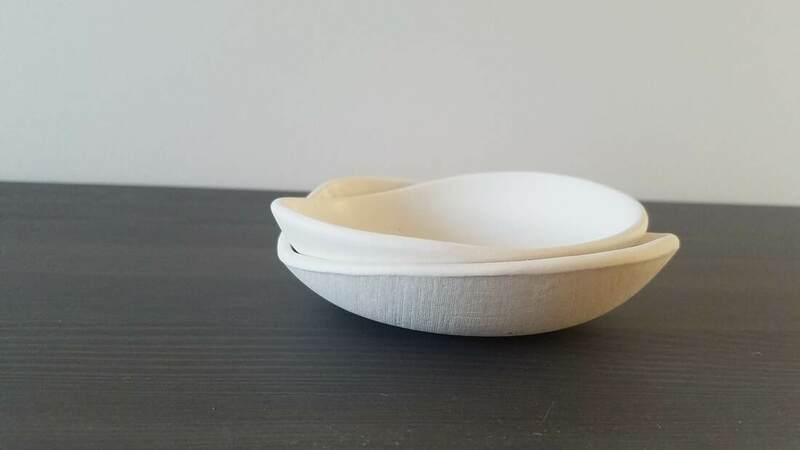 This shallow bowl has the cutest little chevron monkey ear handles. 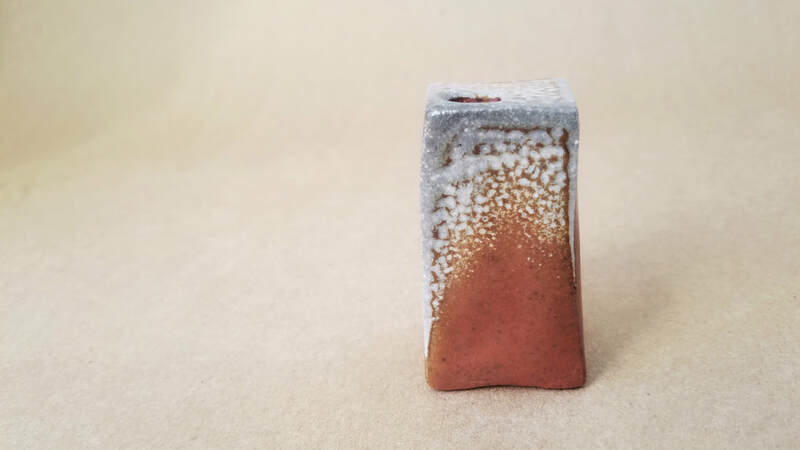 A different type of atmospheric firing, soda is introduced into the hot kiln, producing a natural, reactive glaze with depth and movement. 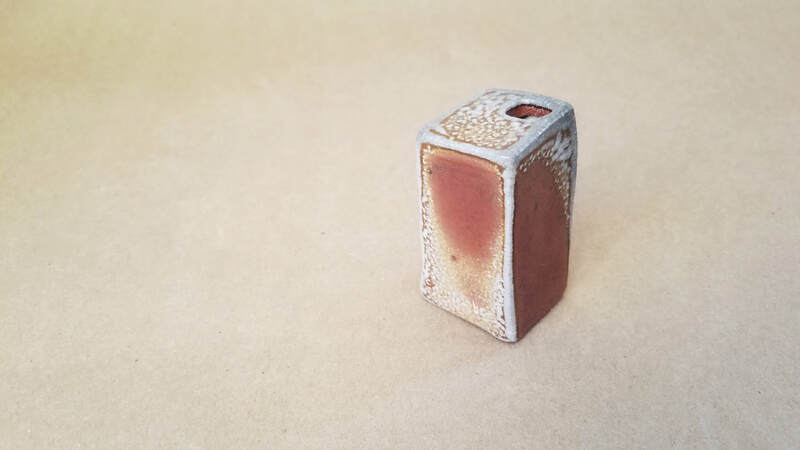 This little guy is the last piece I have left from a firing in the spring of 2018. 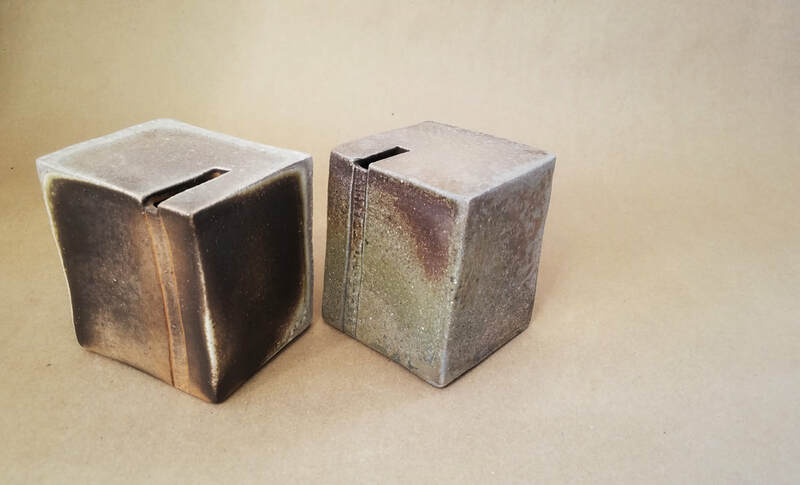 These handbuilt boxes were atmospherically fired in a wood kiln for seven days straight, an ancient technique that produces an organic, almost oceanic surface that's unpredictable and unrepeatable. 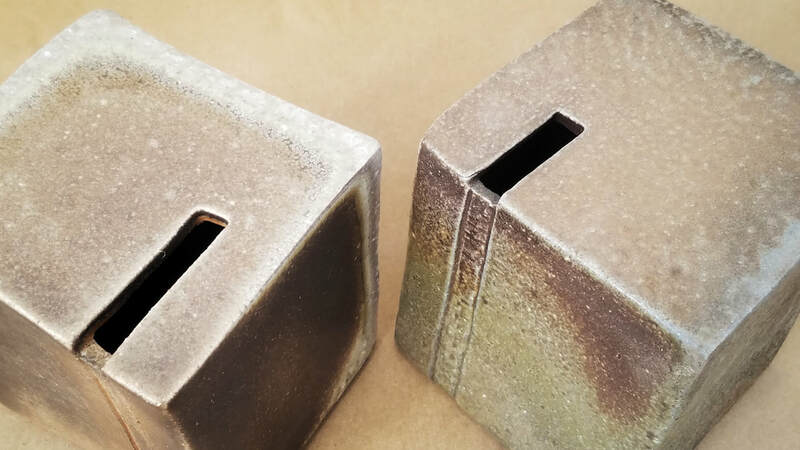 They can be rotated on all sides to different effect, and are a striking statement piece. They are a pair and can't be sold individually - they'd get lonely!